A checkerboard building with tree-filled balconies and a series of green roofs aims to bring the experience of a park setting indoors. 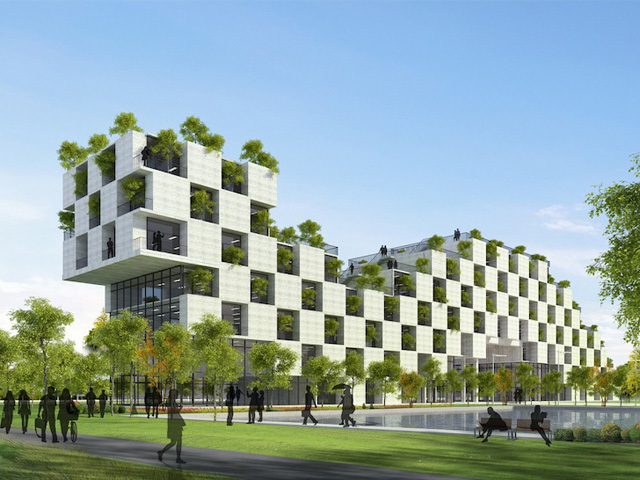 Vietnamese design firm Vo Trong Nghia Architects started construction on FPT University’s administrative building, a seven-story prefab structure with a dramatic green and white checkerboard facade. Located in Thach That just outside Hanoi, the building’s lush facade was designed to bring the experience of a park setting indoors. In addition to tree-filled balconies, the staggered building is topped by a series of green roofs that insulate the building and help reduce energy use. Designed to evoke the image of a flying dragon, the building’s curved shape and green additions help to soften the harsh appearance of stacked modular concrete blocks. 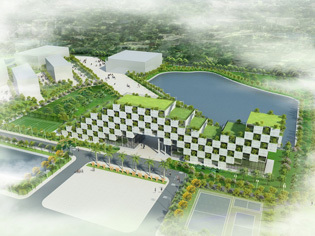 Since the building serves as the gateway to the school, the architects used its prominent position in the landscape to promote sustainable development in Vietnam, a country suffering from increasing pollution due to rapid industrialisation. 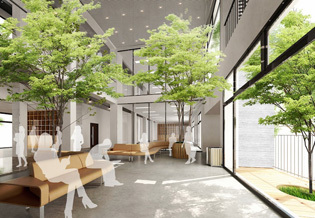 To cut down on the building’s reliance on air conditioning, the architects oriented the building to face the prevailing wind to take advantage of cross ventilation. 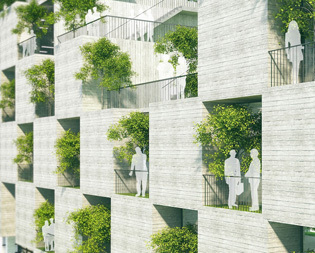 The large trees located in each balcony helps cool the airflow before it reaches the interior. 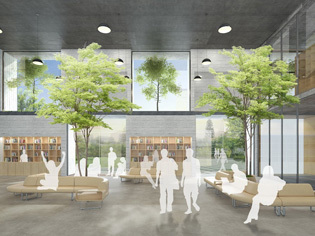 The shallow plan and abundant glazing allow natural light to filter through the building and reduces dependence on artificial lighting.